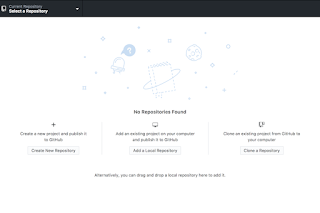 GitHub Desktop is a desktop GUI version of Github web, the biggest and the most popular Git repository. What are the features, the following advantages and disadvantages? Check it out! 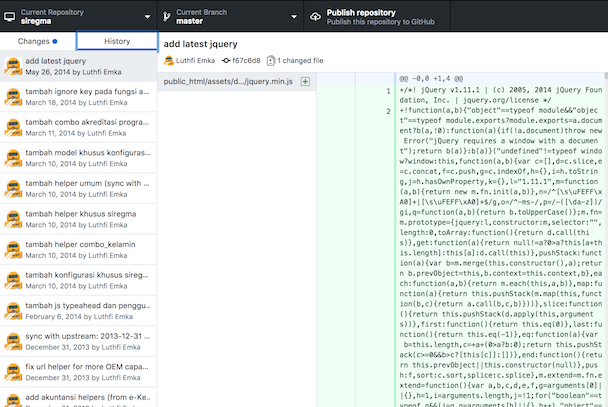 First, I'm is one of the most people not too much to use GUI for Git becoause already used Visual Studio Code which has a built in Git tool, it is enough for simple use like pull, push, commit etc. 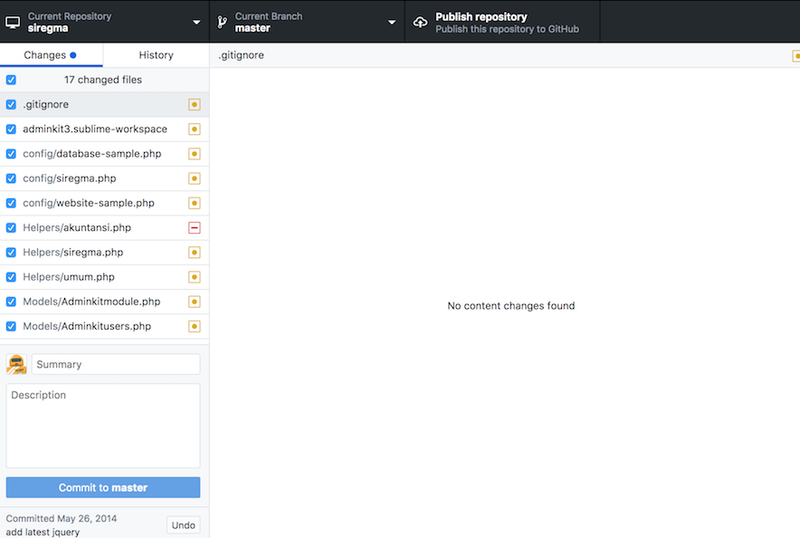 However, I also use GUI for repo Git management if needed, have tried SourceTree, Tower, and while it is using GitKraken. All of them is good, although there are have advantages and disadvantages. And GitHub Desktop 1.0 was just released. 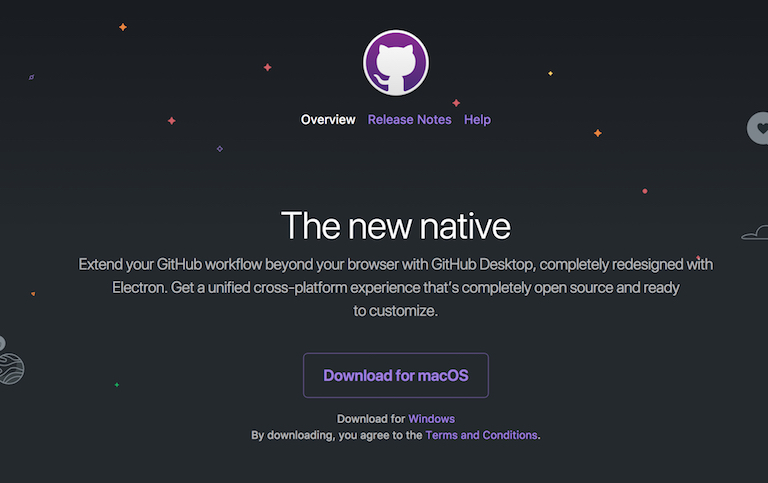 Even as a whole, just 3 month this software is built from Beta version by Github. Somewhat late though, because the market is already using another GUI, and some even offer more complete integration than just Github. Please download this software on the official website, https://desktop.github.com/ Unfortunately, there is only a version of Windows and Mac OS only. 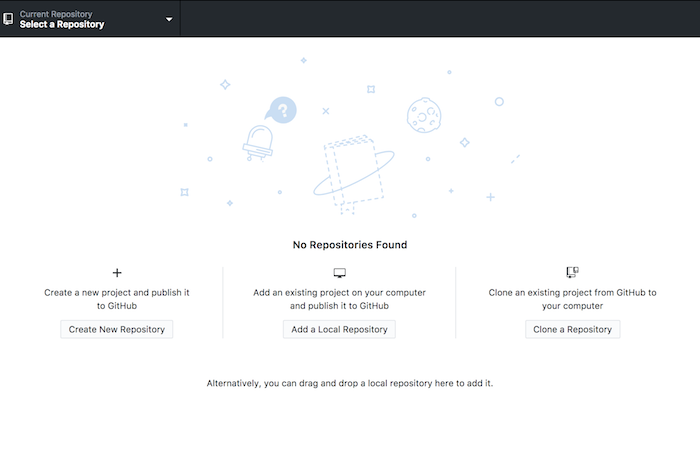 Although many report in the community of users, Github Desktop can run on Linux. 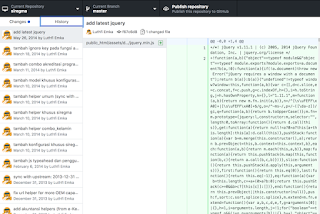 There is a short wizard when the software is first run, standard like other Git Management GUI software. For example asked user and Git email, or Login to Github account. There is a list of stash files that should be committed, following the history. 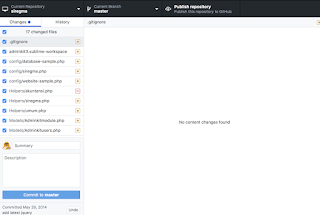 - Just support Github platform, others GUI can be used for Gitlab, Bitbucket etc.